Wineware's Top 5 Wine Gifts for Christmas! There’s just 30 days to go until Christmas 2014, the festive season is just around the corner! Gift buying for Christmas is well and truly under way but there’s still plenty of time to grab some fantastic presents from Wineware. If your lucky recipient is into his or her wine, Wineware is the place to shop! We stock a vast amount of great gifts for wine, from glassware to wine racks and corkscrews to decanters! 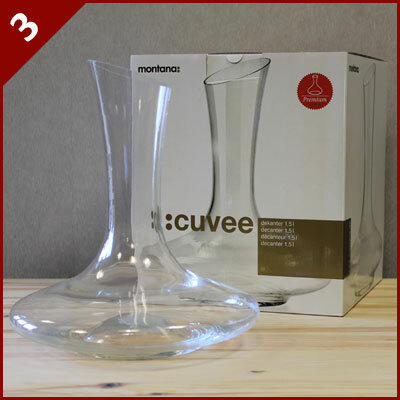 A lot of our gifts are unique, so why not get something a little unfamiliar and bring a smile this Christmas with some wine related from Wineware! We’ve compiled a list of our Top 5 Wine Gifts for Christmas! Our glassware collection is comprehensive to say the least, whether you’re looking for a general wine glass that caters for both red and white wine or you’re looking for a specific glass that is ideal for say Burgundy, Wineware stocks the lot! With over 300 different glasses suitable for wine, we have something for everyone and for every budget this Christmas. 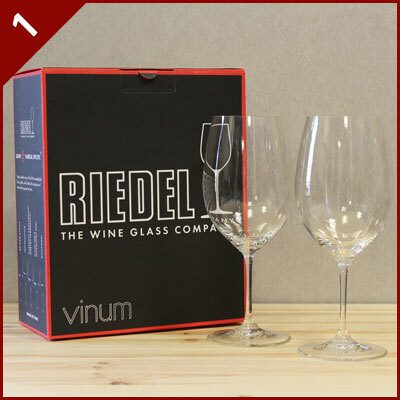 We stock household brands such as Riedel, Schott Zwiesel, Spiegelau, Zalto and many more, a glass type for every occasion can be found on the Wineware site. Storing your collection of wine in one, safe place so you can locate your favourite bottle and it’s a great idea if you like a tidy home! 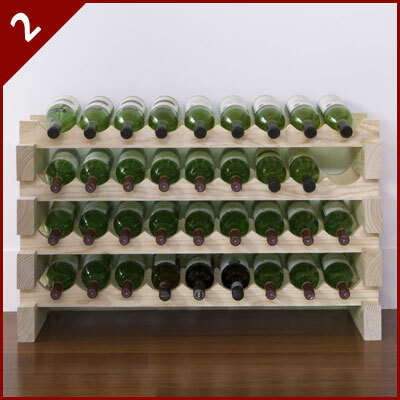 Our varied collection of wine racks comprise of easy assemble and pre-assemble racks, plastic, wood or metal and various colour choices. Keep your wine safe and give your other half something to do on boxing day! Decanting your wine is a must if you want to enjoy it to its full potential, it brings out the aroma and open the wine up. Purchasing a decanter doesn’t have to be expensive and there’s lots of choice, a simple design with a wide bowl is the most common decanter. We’ve got plenty of choice and a wide range for every budget. The great value gift set from Nuance has all the wine accessories you need! 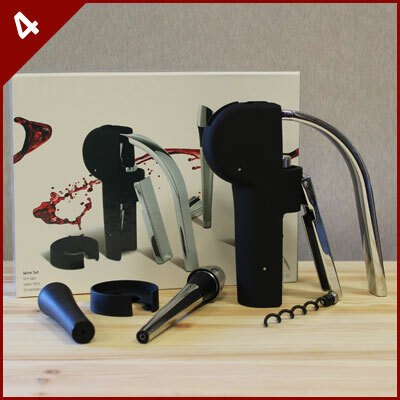 It includes an easy to use lever model corkscrew, a functional foil cutter, a handy wine finer to help with pouring and aeration as well as a vacuum bottle stopper. This gift packaged set has all you need to serve, preserve and enjoy your wine. The ideal present for the wine enthusiast in your life! 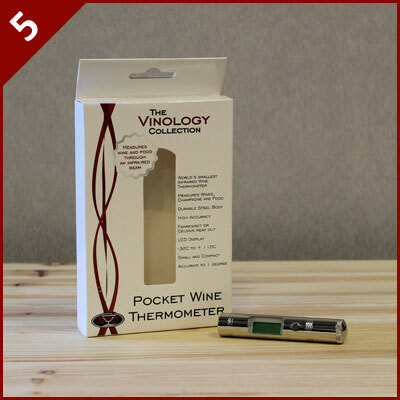 The Infradred Wine Thermometer reads a wines temperature through the glass in under one second…you don’t even need to pop the cork! This handy gadget works by placing it on the centre of the glass bottle, press the button and read the digital display…it really is that simple! A handy gadget for a keen wine lover.